ASUS officially introduced its popular new ZenFone 2 smartphone here in the United States today at a special media event in New York City. The 5.5-inch Android Lollipop device has proven to be something of a hit in Europe and Asia thanks to a powerful feature set, sleek design and a terrific off-contract-friendly price. Now, starting Tuesday, the device will be available for purchase in the U.S. and Canada. Internally, the ZenFone 2 has a 64-bit 2.3GHz Super Quad-Core Intel Atom Z3560/3580 processor and is billed as the first phone to come with up to 4GB of dual-channel RAM. Its BoostMaster battery technology allows it to charge up to 60% in just 39 minutes; when seriously pressed for time, 10 minutes of charging can get you up to 2.7 hours of additional 3G talk time. The ZenFone 2 also supports dual active SIM cards, which is handy for those who like to travel internationally. The phone has an impressive 13 MP rear-facing camera with f/2.0 aperture lens and zero shutter lag. It uses PixelMaster 2.0 technology to capture 400% brighter photos when light is low, eliminating the need for flash for some shots. The Super HDR Backlight mode automatically captures 4 pictures of each scene, processing them together to boost dynamic range and brightness. The Super Resolution mode, meanwhile, uses those 4 pictures and combines them to boost the resolution and clarity of your shots all the way up to 52 MP. The brushed metal ZenFone 2 has a rather pleasing form factor on the outside. On the front of the phone, you’ll notice that the screen takes up 72% of the front body. It’s edges are only 3.9mm thick thanks in part to a slight rear curve. The phone has a physical button on it’s back, too, which is designed to make it easier to take selfies or adjust your phone’s volume based on the natural way you hold the device. 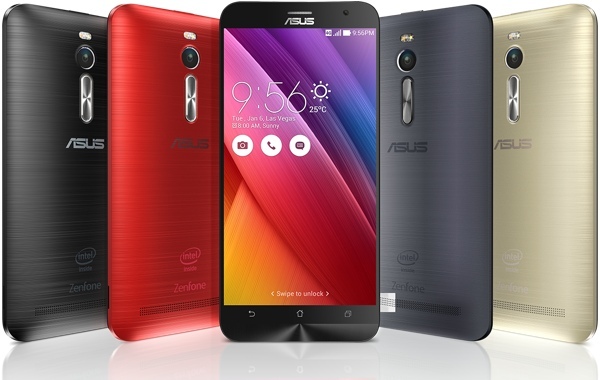 The ASUS ZenFone 2 will be available for purchase starting May 19, 2015 via Amazon.com and other select online retailers. A version with 2GB RAM and 16GB storage is available for $199; a version with 4GB RAM and 64GB of storage can be had for $299. 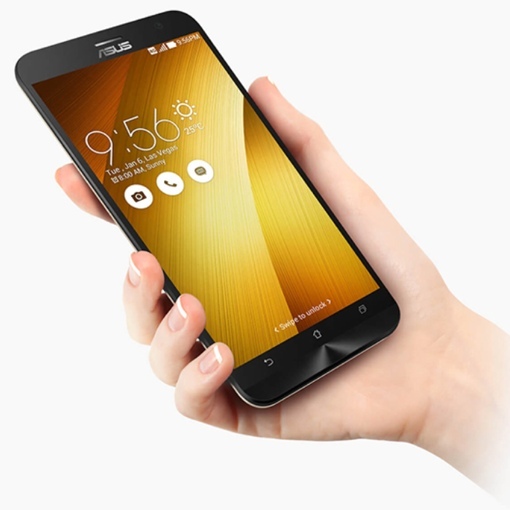 You can read more details about the ZenFone 2 on the ASUS website.